How many Italian car companies can you name? To the average American, Lancia probably doesn’t come to mind, despite their presence in the U.S. market until the early 1980’s. Enthusiasts know and cherish the brand’s famous models; the charming Fulvia, exotic Stratos and rally-dominating Delta Integrale are oft-cited high points for the marque (although the downright bizarre Thema 8.32 deserves some recognition as well). Like most manufacturers though, their bread-and-butter offerings don’t command the same zealotry. Enter the Lancia Beta, offered in a number of configurations: a basic coupe, the racy mid-engine Montecarlo (known as the Scorpion in the U.S. thanks to General Motors), the bizarre HPE (for High Performance Estate, an odd Lotus Éclat-like mishmash of ideas) and finally the Zagato Spyder, one of which is offered here on AutoTrader for an exorbitant $2999. Most Lotus purists bemoan the early 1990’s Elan model as a travesty, unworthy of the Lotus namesake. I think that’s a little harsh; while they are the only front-wheel-drive Lotus ever made, they were still excellent handling little roadsters with neat styling, a robust and sprightly Isuzu turbo drivetrain and a bit of obscurity thrown in for good measure. Sure, they couldn’t match the revered Esprit supercar, but then again they weren’t supposed to. What really puzzles me is that the modern Elan is so derided, yet the 1970’s Elite and Eclat get a free pass! 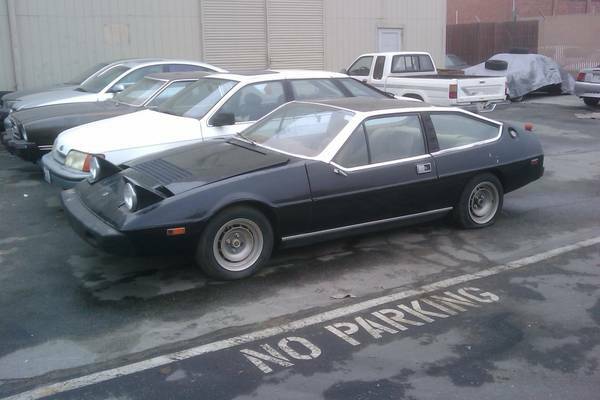 These hideous monstrosities are probably the worst vehicles Lotus ever churned out, as evidenced by the fact that three of them are for sale here on Craigslist for $1500 each.